Imran Khan surely loves to experiment and it’s not restricted only to movies. Recently, the talented young actor took over the editorial reins of men’s lifestyle magazine GQ for its March 2012 issue. If that wasn’t enough, Imran became the cover boy for the month with a neat coffered look. Dressed in a Burberry shirt and tie bar, with Gucci checked jacket and trousers, and a Hugo Boss tie, Imran is a perfect example of the suave businessman. 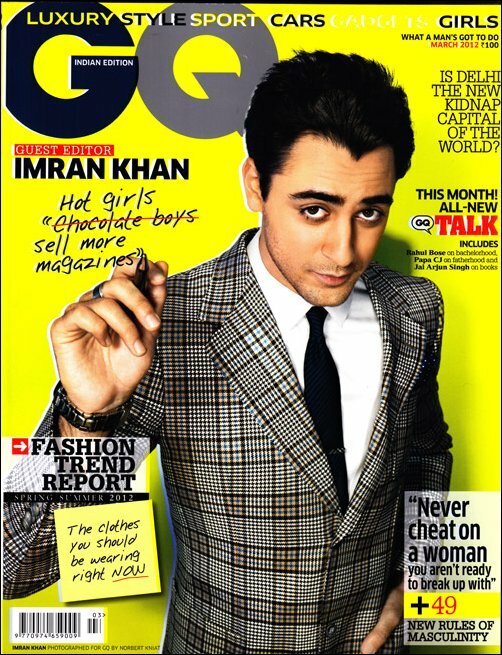 With uncanny wit and a flare for the job, Imran takes over the position with full gusto adding more reason to grab the latest copy of GQ.